Is this the best amino supplement on the market? You just can’t keep Optimum Nutrition out of action. This company has a product in every category and their products aren’t just any other products, they are some of the most well researched and effective products on the market. We’ll be taking you through Amino Energy. 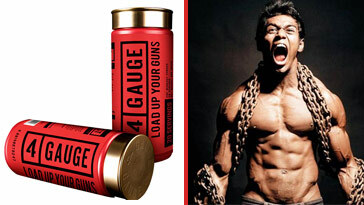 A lot has been said about this product since it tries to cater to various needs of an athlete. Amino Energy isn’t just an amino drink or a pre-workout drink, it is designed to be taken at various times throughout the day. You can take this supplement when waking up, before your workout, intra-workout or post workout. If you’re looking for a product which can scratch all these itches at one time, you’ve found it. Amino Energy can save you a few bucks since you don’t need to buy different products for the needs mentioned above. Optimum Nutrition is one of the most well-known and reputed companies in the supplement industry. It has been in business since 1986 and has since been providing dedicated athletes with high-quality gold standard sports supplements. In these past 30 years, ON truly has made a mark in the fitness industry with its ‘gold standard’ products. If someone is looking to buy a product in any category, be it a mass gainers, proteins, BCAAs, they will surely find ON products in the top 10 product list. Optimum Nutrition took a big chance with this product. They have attempted to meet various needs of an athlete in one go. Not to mention the amount of research that’s gone into making this product, which makes it a success. Amino Energy is made up of two main and some additional ingredients. Its amino blend includes the essential and non-essential amino acids and the energy blend includes different sources of caffeine, while the additional ingredients include flavors and colors. Before you decide on buying this product, there are a few things you should know about it. While Amino Energy has a lot of things working for it, there certainly are things ON could have worked upon and improved. 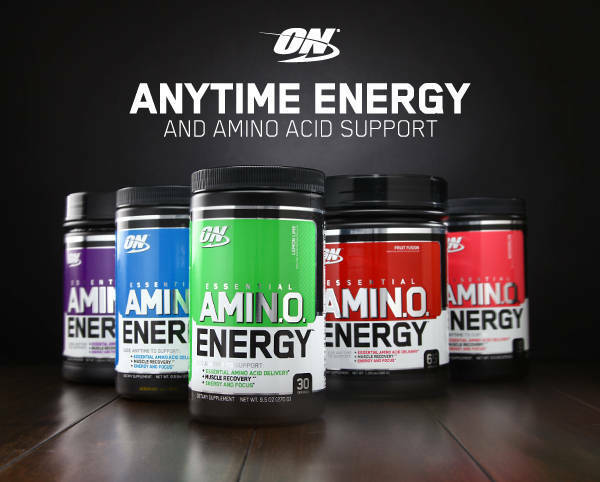 The amino blend of Amino Energy has 14 different ingredients which include essential and non-essential ingredients. 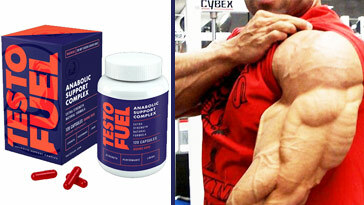 This blend also includes beta-alanine which helps in powering your workouts. While this blend has 14 ingredients, this is not the best approach. None of the essential amino acids in this supplement are present in their clinically recommended dosages. We can make this out since the amino blend has a serving size of five grams which also includes non-essential amino acids. According to us, there was certainly no point of adding non-essentials amino acids to this products since they can be produced by our body naturally whenever the need arises. Due to this, to meet the recommended dosage for the essential amino acids you will have to take up to two servings – four scoops. One area where this supplement ticks all the right boxes is the kick people get after taking this supplement. 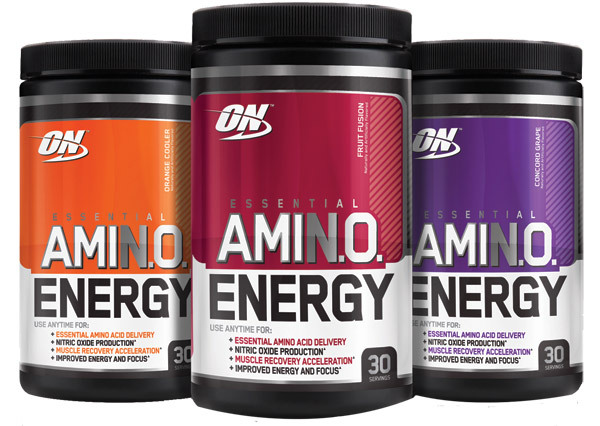 One serving of ON Amino Energy contains 160mg of their energy blend which includes caffeine, green tea extract, and green coffee extract. These ingredients help with a constant supply of energy which is enough to power your workouts. Due to its energy blend, people prefer drinking Amino Energy as a pre-workout supplement. The added beta-alanine also helps with amplifying the effect of the energy blend. The only drawback being, if you’re taking this supplement as a pre-workout, you might need to take two servings — fours scoops to get the desired results. Two scoops might not be enough to do the trick for you. This is where this product disappoints us a little. Amino Energy has a full 4.74 grams (!) of additional ingredients. Considering this product has a serving size of nine grams, 4.74 grams is more than half of the content. The disappointing thing is, the additional ingredients don’t have any useful ingredients, the ingredients which would help you getting a better workout. This additional ingredients blend is all about flavors and colors. ON could certainly improve on it. While ON Amino Energy is best taken before a workout, you could also take it intra-workout, upon waking up or at any time during the day. This is one of the best things about this supplement. With this being said, the dosage of the supplement would change with the time you’re using it. Amino Energy is one of the very few supplements on the market which can be taken for multiple purposes. You can use it as a pre-workout, on waking up in the morning, post and intra-workout and anytime throughout the day you feel you could use some extra energy. 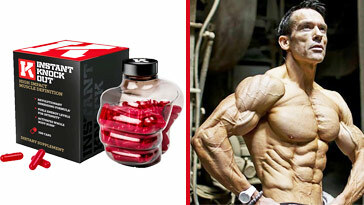 ON has made this supplement which suits the pocket of a huge consumer base. Keeping in mind this supplement can be used for different purposes, it can save you a lot of money since you won’t have to buy additional supplements. This supplement is also a great option for people who need a light stimulated supplement. 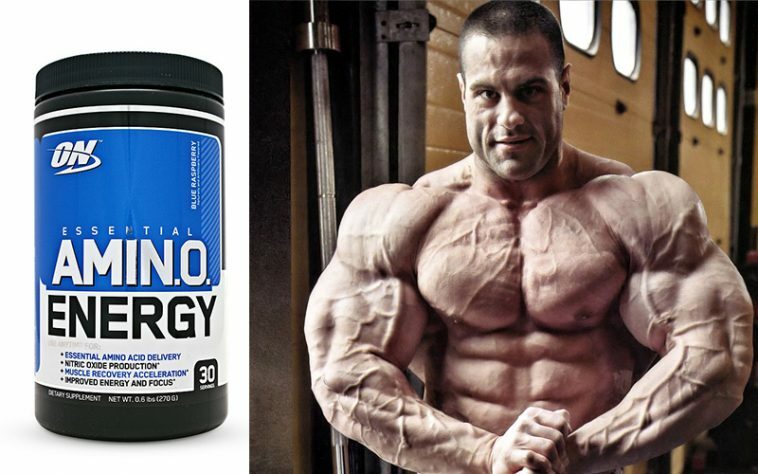 If you can’t handle highly stimulated and caffeinated pre-workout, Amino Energy is for you. This supplement is great at supplying constant energy throughout the day. While this product has a long list of amino acids–essential and non-essential–it doesn’t have the enough amounts of BCAAs. So, if you’re looking primarily for a BCAA supplement, this product is not for you. 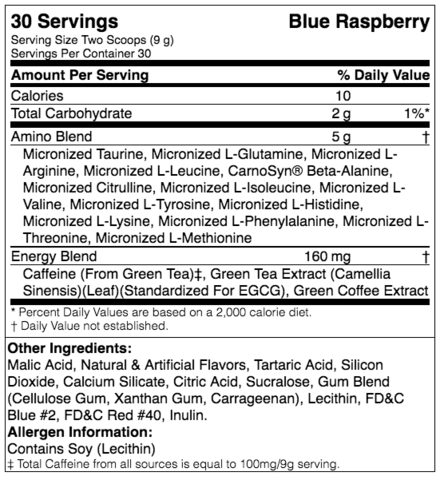 While the amino blend and energy blend in the ingredient list is almost on point, this product goes berserk with its ‘additional ingredients’ list. Another thing ON could improve on is to provide the detailed list of the quantities of ingredients present in the supplement. Due to the proprietary blend, we can’t tell which ingredient is in what amount in this product. This product is the perfect fit for you if you’re looking for something which you can use for various purposes. This is also a great choice if you like getting a kick before your workout. On the other hand, if you’re looking primarily for a BCAA supplement, you should look elsewhere. Are any of its contents cancer or disease related? Love it! It actually helped with muscle recovery. The draw back I guess would be not enough energy or strong enough energy. 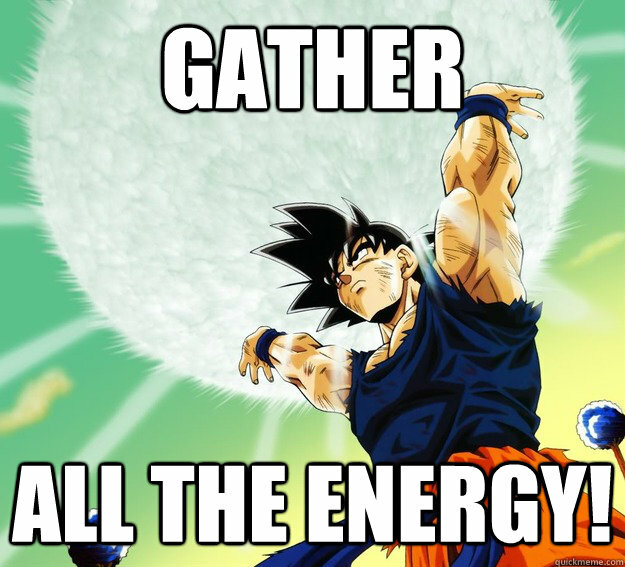 I have to take another energy source along with it. I like being bright eyed and bushy tailed. But do notice real relief with sore muscles. I have been drinking this daily. Am I going to die with kidney failure? Anyone else experiences itchiness? I would add 2 scoops in a glass of water and chug it before work out. Nope. Allergic reaction maybe? The only “itchiness” I would say is normal otherwise is perhaps if you get some on your lips and feel a little transitory itchiness/tingling, which beta-alanine can cause.